Zaprezentowany w ubiegłym roku A 70 Hereford jest modernizacją dotychczasowego Hampshire. Posiada ten sam górnozaworowy silnik o pojemności 2199 cm³ i mocy 67 KM. W odróżnieniu od poprzednika dostępny jest w atrakcyjnej wersji kabriolet. 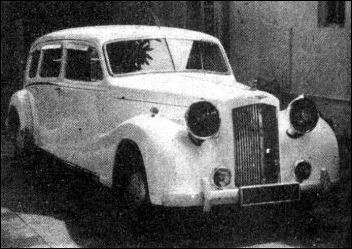 Podstawowa wersja A 70 Saloon kosztuje 738 funtów a A 40 Devon 505 funtów. W cenie 507 funtów nowego A 30 Seven udało się pomieścić niezależne zawieszenie przednich kół, całkowicie nowy, ekonomiczny silnik, nowoczesne, samonośne, czterodrzwiowe nadwozie z opuszczanymi szybami w przednich drzwiach, dość przestronnym bagażnikiem z pokrywą na zawiasach sprężynowych i szeregiem eleganckich, chromowanych ozdób. The range comprise the Devon Saloon (GS2), Sports (GD2) and Countryman (GP3) as well as Van and Pick-up models. From August 1951 the GS2 and GP3 had a new fascia, and other modifications, and became GS3 and GP4 respectively. 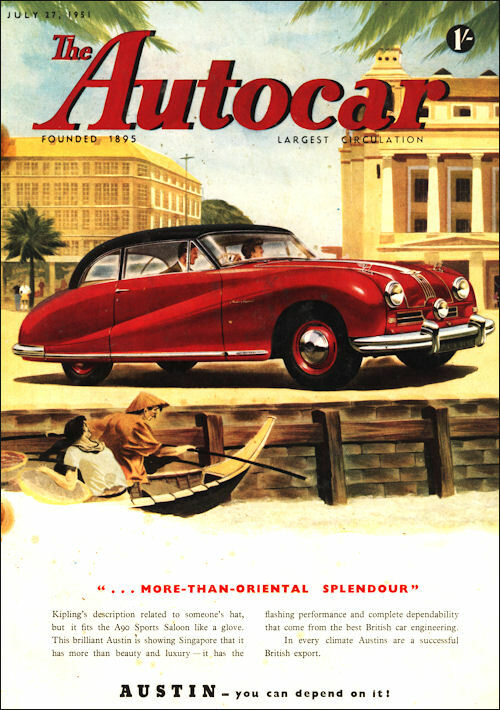 Open four-seater with full-width frontal styling on Continental lines. 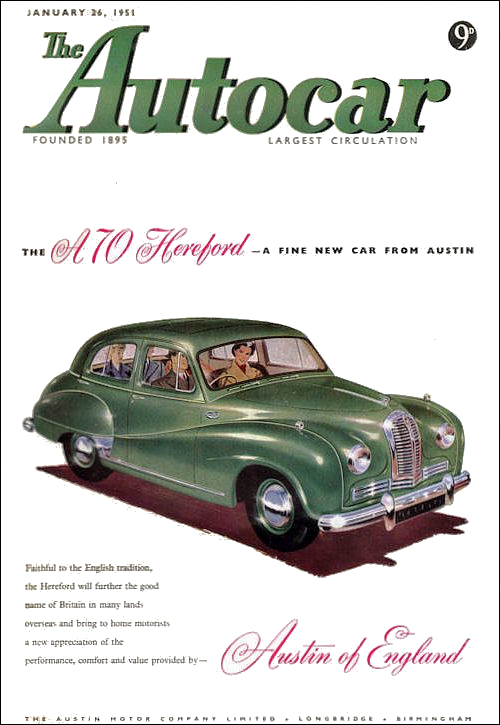 This model is based, mechanically, on the A40 Saloon model, but with various modifications-including the fitting of twin carburettors on the 1200-cc power unit which give an output of 46 bhp at 4400 rpm, strengthening the chassis by welding a pressed steel floor to the top and bottom of the main members and adopting full hydraulic operation for the brakes (standard on all A40 models from August 1951 ). When not in use the top folded away neatly behind the rear seat squab. 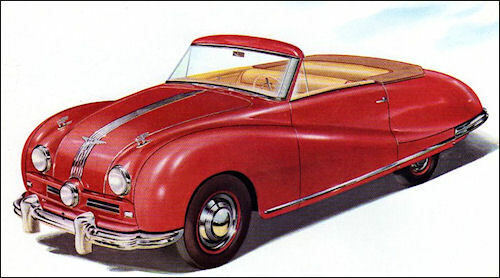 The alloy bodywork is produced by Jensen. 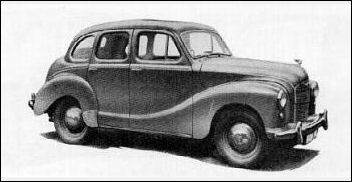 Austin A40 Sports, Model GD2. 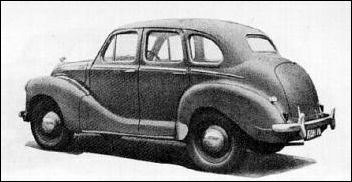 Although this model use the same chassis as the earlier A70 Hampshire (Model BS2), its body is larger, roomier and more rounded. 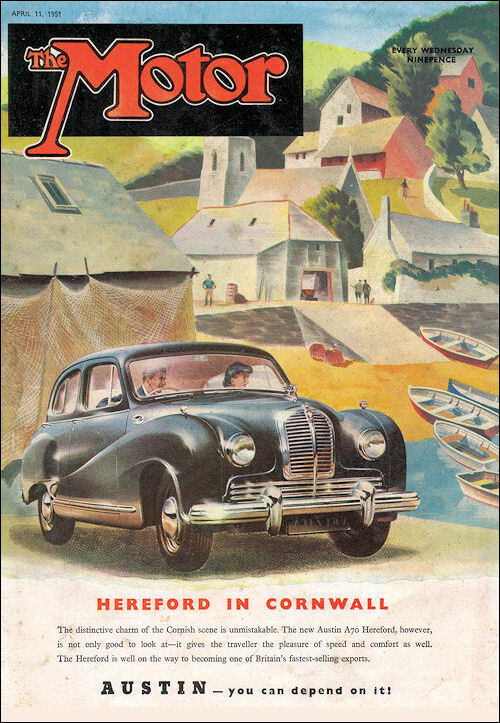 Austin A70 Hereford, Model BS3, Saloon. 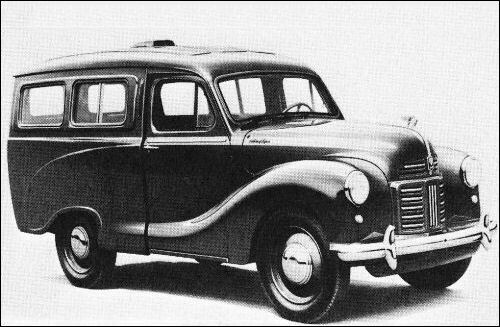 Austin A70 Hereford Countryman (Model BW4) is the Estate Car version, featuring a wood-framed body with metal roof. A Pickup version (BK3) is also available. wb: 6ft 7½in 4 cyl. 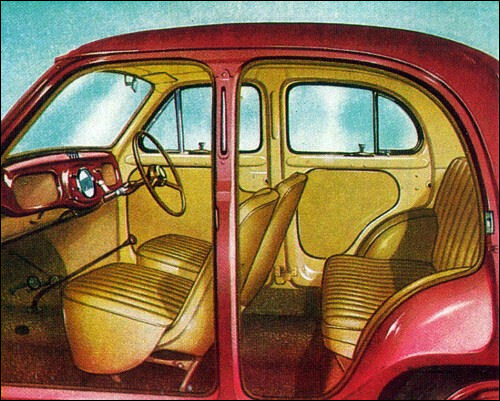 A30, Austin's first post war monocoque baby car, introduced in 1951 with 28 bhp 803cc ohv engine, giving a top speed 62 mph. If only Austin would make a Seven again,' people kept saying. 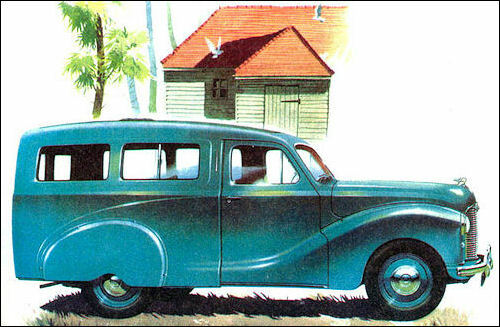 'Nothing could touch it prewar ... low-priced, roomy and keeps going for ever.' Now the new Seven is here. 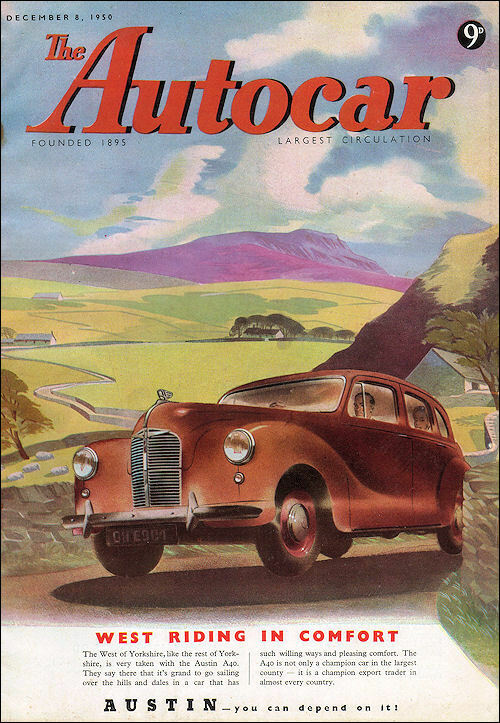 And it's the greatest event in post-war motoring. Its performance is startling - speed is excess of 60 m.p.h., petrol consumption up to 50 m.p.g. And look at the room ... the styling ... the refinements! 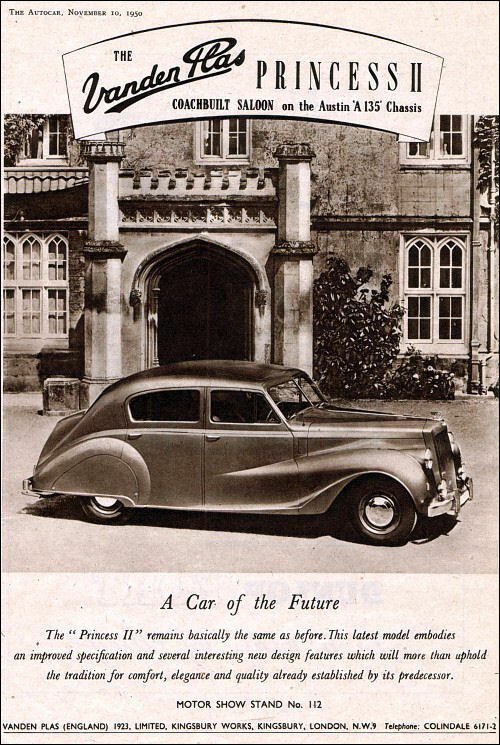 Austin's success with high-performance, dependable cars has made the new Seven ... today's Seven ... a car that will open the eyes of the world. 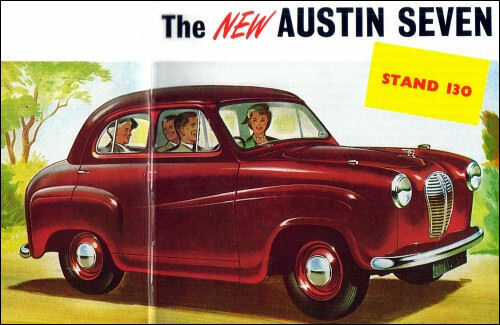 During 1950/51, Austin assembled a few pre-production Champs. 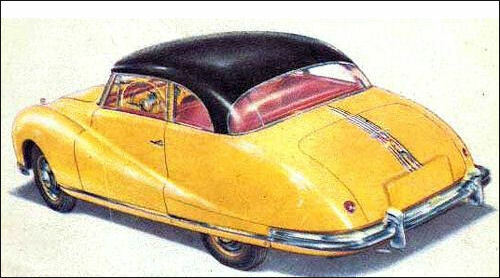 These are carry some 'Mudlark' ideas, such as the suspension mountings etc... The engine type is the same as fitted to the Mudlark, a B 40 No 1 Mk 2/A.